Zandria Robinson takes being a sociologist to a whole new level. Recently under pressure for speaking her mind, Dr. Zandria Robinson came onto the podcast in Sept 2014 and we recorded some extra time with her in the studio. 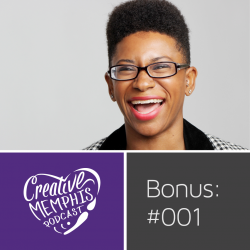 Introducing Creative Memphis Podcast (CMP) Afterthoughts 001, the first bonus clip in our unscheduled series of extras to the podcast. Sit back and expand your horizons with Rhodes college’s newest addition before she made that important step in her career. Funlola Coker of Gnomeore Crafts is a maker of tiny things such as miniature foods, jewelry, and gnomes! Coming to the US from Lagos, Nigeria​ Funlola was attending Memphis College of Art​ when her parents surprised her with the potential for #citizenship in the United States​. Listen as she details citizenship, how her first year of full-time self employment has been progressing, and how she balances life with her toaster oven. 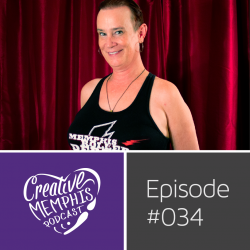 Lisa Michaels is a fabulous musician and comedian who explored Memphis in her past life and came back recently and is making a splash. 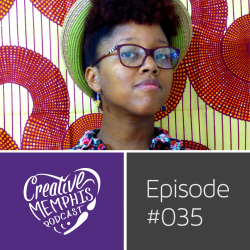 In this episode we discover her past, her transgender journey, phoniex like arrival, and finding happiness in Memphis. Lisa knows how to make a grand entrance, capture your attention on stage, and create unique experiences you will treasure. Sit back and enjoy this revealing episode.